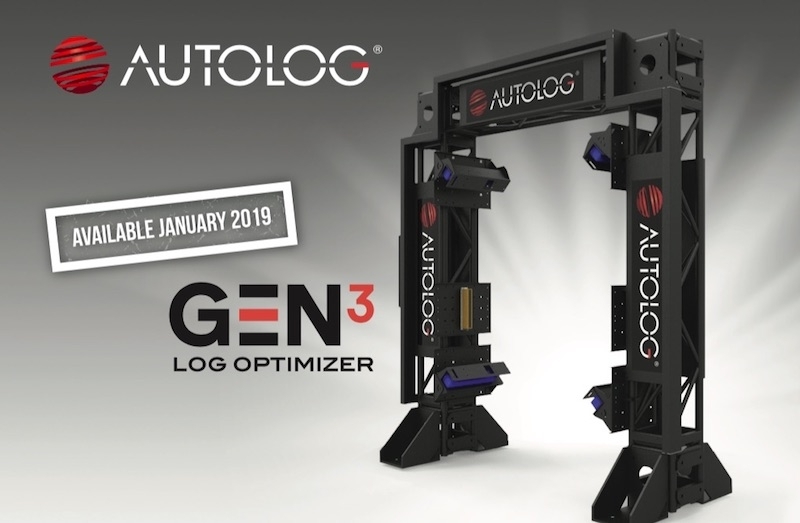 Oct. 9, 2018 – Autolog’s new Gen3 log optimizer features a scan density of 0.5-in. at 650 ft./min. Suitable for all types of optimized primary log breakdowns: log turner, log sorters, chipper canter, twin, quad, etc., it can replicate any curve sawing from a downstream machine. The log optimizer also features an easy comparison tool to analyze multiple simulation results. With a live simulation, which compares side-to-side solutions from live production logs optimized with different parameters, the GEN3 lets you save as much as 20,000 logs per simulation lot. An optimized advanced analysis tool allows the user to test alternate solutions by forcing a sawing pattern or adding a sideboard. A browser-like user interface also allows multiple screens across all systems and flexible, per-user customization. Visit Booth No. 353 at the Timber Processing and Energy Expo in Portland, Ore. Oct. 16-19 for a live demo.